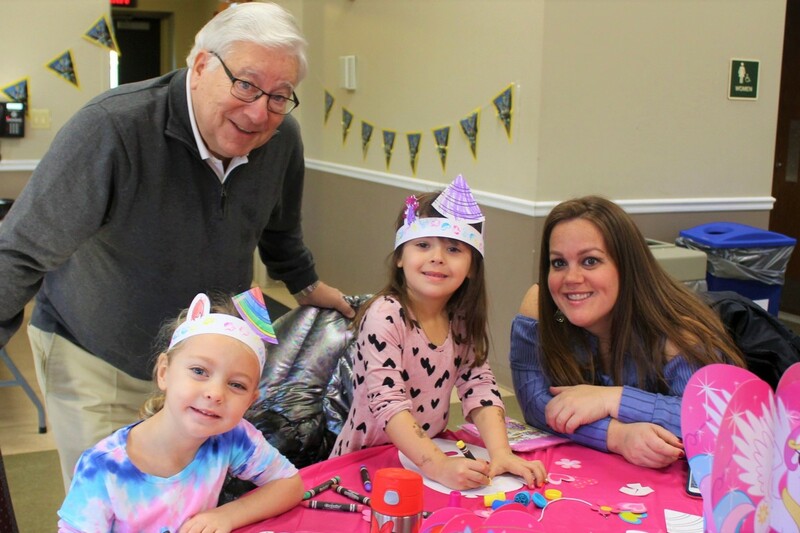 On Sunday, November 26, 2017, approximately 40 families gathered for the 3rd Annual Kids in the Park Post-Thanksgiving Day Character Breakfast. The Kids in the Park Committee held two sold out, one hour events at the Village Theatre at the Park at East Hills. The parents and children were offered a full breakfast buffet. 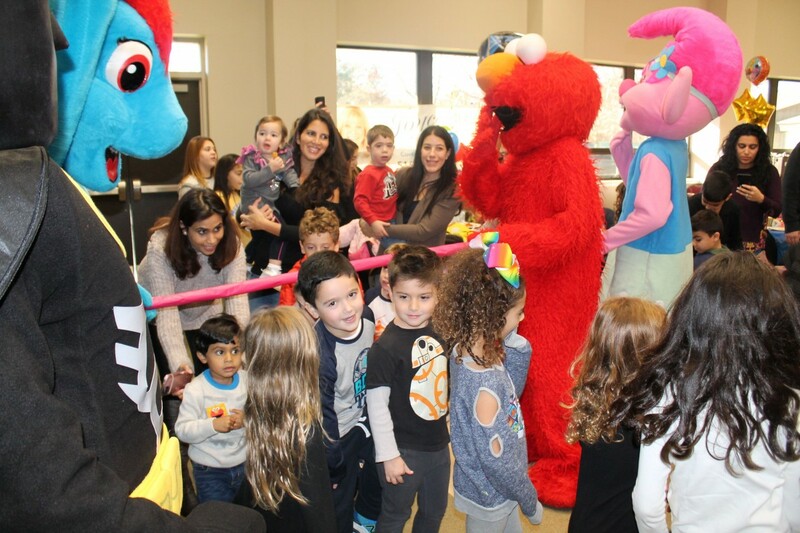 As entertainment, the kids had crafts at their tables, and interaction with four of today’s most popular movie and television characters. Specifically, the characters included Sesame Street’s Elmo, a vintage favorite, Rainbow Dash from “My Little Pony,” Poppy from “Trolls,” and Lego Batman. The characters in full costumes danced and played limbo, while parents and grandparents took photos and videos. Mayor Koblenz said “once again, the Kids in the Park Committee was extremely successful in holding a heartwarming and exciting program for our families. It was fun. It has always given such a special dimension to our community. It brought smiles and vitality to the Village’s children. 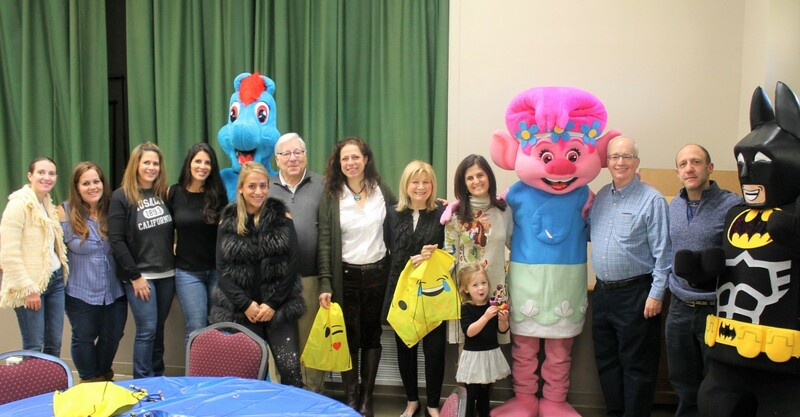 I thank the Kids in the Park Committee, and Trustee Stacey Siegel, for their creativity and hard work.” The Committee also expressed appreciation to Joyce Styne of Laffey International for sponsoring the event and offering fine giveaways to all of the children who attended the annual event. The Kids in the Park Committee Co-Chairs are Ellie Tulumba and Robyn Brattner, and Alethea Shapiro is the Vice Chair. The members of the Committee include: Risa Eshaghian, Tracey Fiddle, Jodi Golden, Rachel Liebman, Danielle Pradas, Elyse Sentner, Allyson Stumacher, Natalie Viener, Lauren Director, and Keri Prestia.